In this article we will see in detail how to display role based dynamic menu after user logs in. 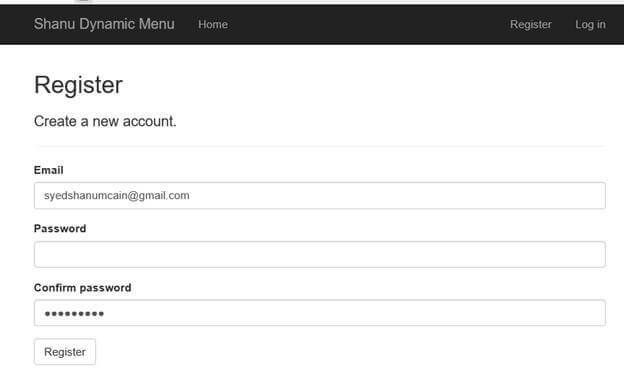 For this we will create a Menu Master table and insert few records to display the menu and URL to menu based on logged in user role. 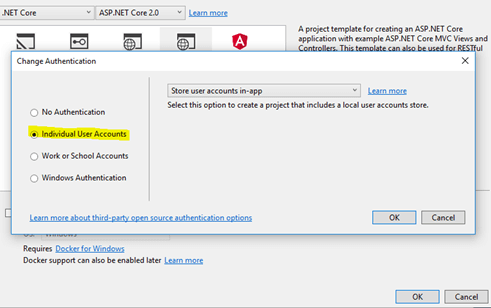 In our previous article we have discussed in detail about how to use ASP.NET Core Identity in MVC Application for creating user roles and displaying the menu depending on user roles. In this article we will see in detail how to display role-based dynamic menu after a user logs in. For this we will create a Menu Master table and insert a few records to display the menu and link the URL to the menu based on the logged in user's role. Make sure you have installed all the prerequisites in your computer. If not, then download and install them all, one by one. 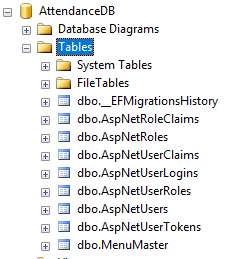 This is in continuation of our previous article; as we have told you we will be using a Common Database for both ASP.NET Identity tables and for our own new tables. In our previous article we have explained about creating user roles, and here for role based menu management we need to make a relationship table between ASP.NET Roles table and our menu table. 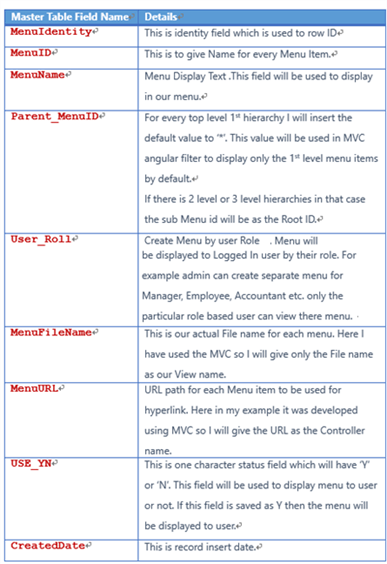 Run the following script to create our database MenuMaster table and sample Menu insert rows script. --Here we can see the format we are using in our Menu Master table to insert our records for display menu based on user role. After installing our Visual Studio 2017 click start, then programs and select Visual Studio 2017 - Click Visual Studio 2017. 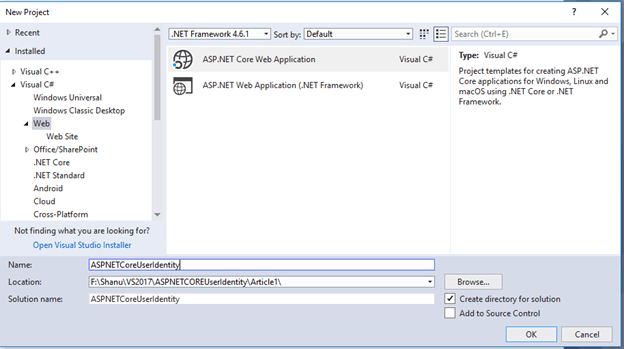 Click New, then Project, select Web and then select ASP.NET Core Web Application. Enter your project name and click. 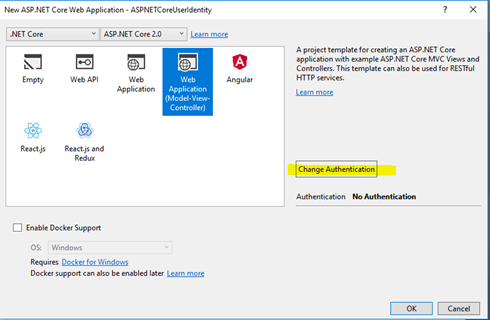 By default, in your ASP.NET Core application the Identity Service will be added in Startup.cs File /ConfigureServices method. You can also additionally add the password strength while user registers and also set the default login page/logout page and also AccessDeniedPath by using the following code. Now our Asp.NET Core web application is ready for users to register in our website and also user can login to our system after registration. We will be doing the Authorization by adding roles to users in next steps. Build and run your application to register your first default Admin user. Here we will be registering two users as one for Admin and another user for Manager. We will be using this user for adding roles. We will create 2 users as syedshanumcain@gmail.com and afraz@gmail.com . Note: You can create users as per your need and change the user details in startup code for adding roles to users. We use the below method to create a new Role’s as “Admin” and “Manager;” we will assign the recently registered users as “Admin” and “Manager” to our website. Open Startup.cs file and add this method in your Startup.cs file. From Startup.cs file we can find the Configure method. Call our CreateUserRoles method from this Configure method. When we build and run our application we can see new Role as “Admin” and “Manager” will be created in ASPNetRole table. Now we have a Admin/Manager user for our ASP.NET Core web application. As a next step let's create Controllers and views to display based on user login. In our previous example we have already seen how to set Authorization for roles in each page. Using that we will be creating all our Controllers and Views. In the attached sample demo application you can find all the controllers and views which we have created and create your own as per your need. First, we will start with creating a class in our Model folder. We give the class name as MenuMaster the same as our table name in our Database. In MenuMaster class, we need to create properties like our Table fields as below. Now, it’s time for us to create an interface with a method named GetMenuMaster() , GetMenuMaster(String UserRole) and we will be implementing this interface in our Service to get all the Menu details from the table and also another method to get menu by user role. For creating the Interface, add a new class to your model folder and name the class as “IMenuMasterService”. In the Startup.cs class, find the method named ConfigureServices and add your service “MenuMasterService” like below. Now, it’s much simpler and easier as we can directly inject the service in our View page and bind all the result to our view page. For injecting the Service in our View, here we will be using our existing _Layout.cshtml page. Since we are going to display the menu on top of our website and use it in all our pages, here we have used the _Layout.cshtml page to bind the menu results as menu based on the user who has logged in. Here first we check if the user is authenticated to our website then if the user is logged in then we get the role details of the logged in user and bind the menu based on the user roles. Here we are binding 2 levels of menu as Main Menu and Submenu. In our table result we check for all the Parenut_MenuID=” *” as we will be displaying the main menu with the parent_MenuID as “*” and in the next inner loop we will display the submenu appropriate to the main menu. Firstly, create a sample AttendanceDB Database in your SQL Server and run the script to create MenuMaster table and insert sample records. In the appsettings.json file change the DefaultConnection connection string with your SQL Server Connections. In Startup.cs file add all the code as we discussed in this article. This is a simple demo application and as we have fixed the Admin and Manager roles, you can change as per your requirement. Also the CSS design for menu and sub menu is not good for mobile compatibility so you can add your own bootstrap design to implement your menu style. Hope you like this article and soon I will post another article with more live examples.